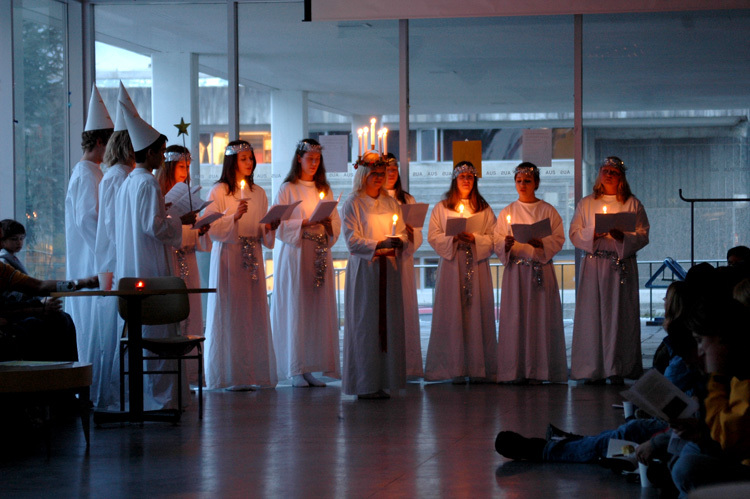 This year’s Lucia ceremony will be on Nov. 28th at 4pm in the MASS. 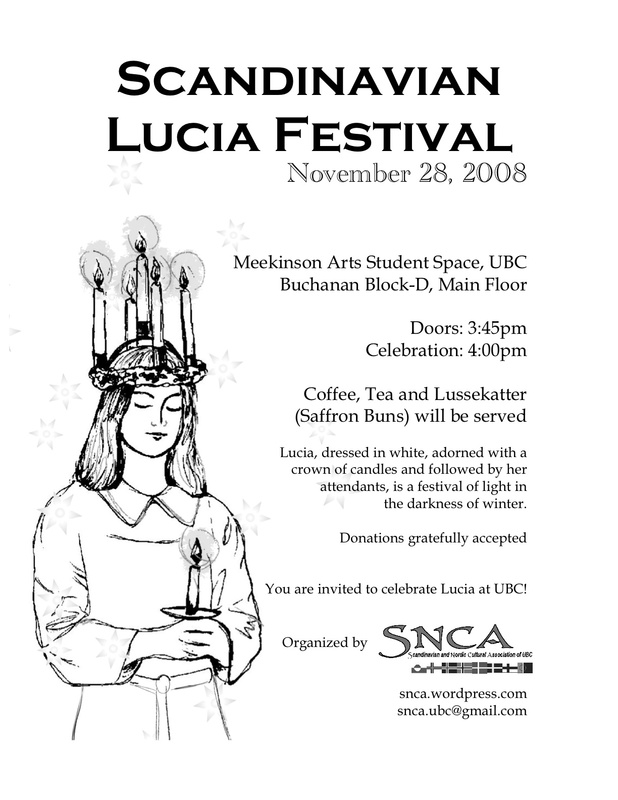 This will be our fourth annual Lucia celebration and we hope the tradition will continue for many years to come. Lucia Practices are currently being held on Thursday evenings at 6:30pm in SUB 113. If you have any interesting in helping out with our Lucia this year, whether it be in the choir, behind the scenes, or baking Lussekatter, please email the club and we would be happy to have you!